Although Poland is quite a large country it is possible to see three of its most interesting sights in only one day. If you know you have very little time and you cannot return to Poland in the near future, and if you know you are ready to take this long and exhaustive tour, see below what we propose. This tour is available solely via StayPoland. The price includes transport with a car, a private driver, tickets for the guided tour at the Auschwitz Memorial, dinner in Krakow, English- speaking guide in Krakow, VAT. Although Poland is quite a large country it is possible to see Krakow and Auschwitz on a one day trip from Warsaw. If you have very little time and you can’t return to Poland in the near future, and if you are ready to take this a bit exhaustive tour, see below what we propose. This tour is available solely via StayPoland. 06:45 – Start from your Warsaw hotel. 11:00 – Visit in the concentration camp Auschwitz I (now the Museum of Holocaust) and the extermination camp Auschwitz II-Birkenau. 15:00 – Departure from Auschwitz. 16:30 – Arrival in Krakow – lunch break. 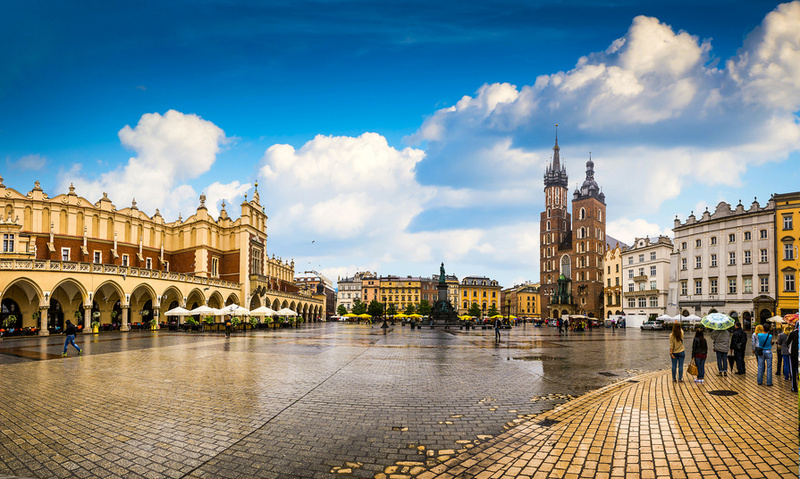 Sightseeing of Krakow, the old Polish capital with a plethora of historic sights. 20:30 – Departure from Kraków. 24:00 – Arrival in Warsaw. The tour is good and very interesting, even if its duration is more than you can imagine. It was good to be able to see a good amount in the day, even if far more superficially that one would have liked (a limit of my time, not the tour). The tour guide in Krakow was excellent (Monika Prylinska). That was less true at Auschwitz where I think she misjudged the audience and assumed too much naïveté. It will be good if the private driver don't stay using the mobile phone all time while he's driving. It could be too dangerous. Excellent driver , knowledge of English, pleasant conversation during the long drive and comfortable vehicle tour guide in Krakow, Dennis , was extremely warm, knowledgable and excellent guide! Oh, what fun is it to ride!